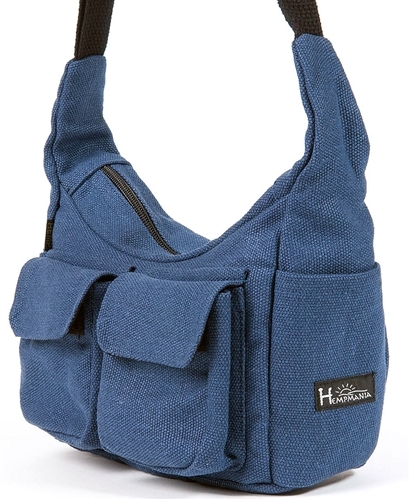 The Hemp Surf Bag has one main zippered compartment with two small pockets that close with a flap. 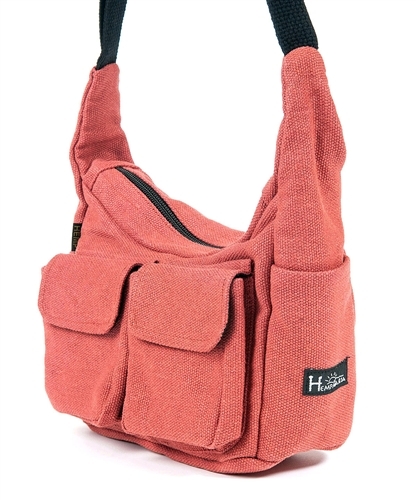 On each side of the Hemp Surf Bag there is an open sleeve that will fit an iPhone. 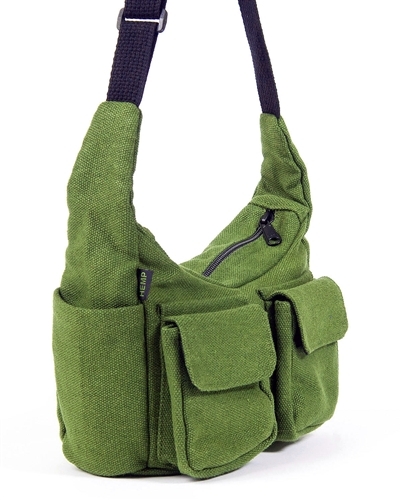 This bag measures 7" tall by 9" long with a depth of 4 inches. 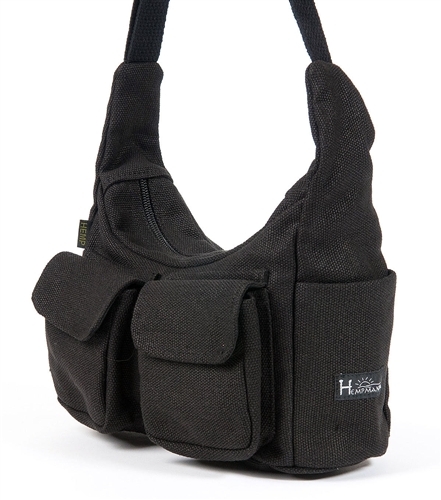 There is an adjustable shoulder strap the can be worn short or extends to 36 inches.